Corey Shank has particularly enjoyed learning wood and masonry engineering at Morabito, as well as furthering his knowledge of steel and concrete design. 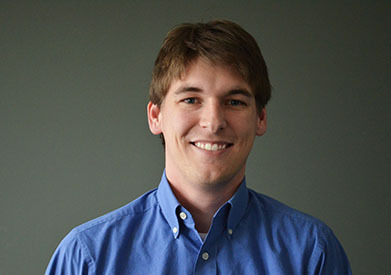 After graduating from Lehigh University in 2012 with a Master of Structural Engineering, Corey has learned professional design and drafting from experienced engineers at Morabito. Corey is as comfortable with hand calculations as he is with using state-of-the-art structural modeling and drafting software. He has particularly enjoyed learning wood design as well as furthering his knowledge of steel and concrete design and has applied engineering concepts to create design aids in Excel. Outside of the office, Corey enjoys investigating Baltimore’s food and beverage scene and playing heavy Euro board games.